with our vast range of non-surgical anti-ageing skin treatments. We place importance on building an honest and trusting relationship with you and we take time to listen to what you have to say. 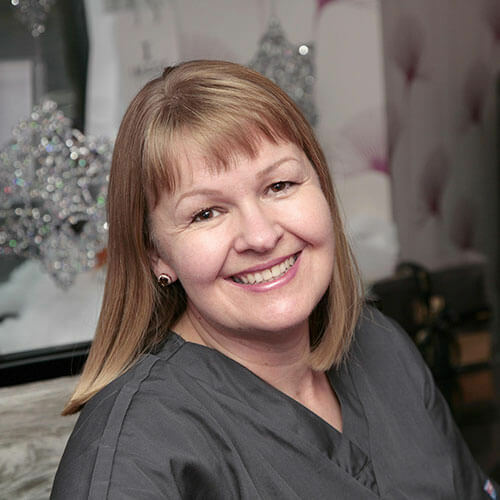 We spend time helping you achieve natural and subtle results from our treatments. If you wish to still look like you but simply feel better about yourself then give us a call. We want to help you achieve that. I'll help you look better in the most natural way possible. Would you like less lines and wrinkles? Come and ask me how I can help you achieve that. Rosacea is more than rosy cheeks! Never ignore symptoms such as persistent redness, bumps, flushes and increased sensitivity of your skin. While there is no permanent cure for the condition, proper skincare regime can alleviate its symptoms and restore the healthy appearance of your skin. Book a skin assessment consultation with us and start your ZO journey to healthy skin today. This is our beautiful patient Isobel at 69 years old. Precise Medical Aesthetics shared a post. Dermalux LED light is one of our most popular, most painless and most relaxing treatments. It can help with acne, rosacea and slows down ageing. It also aids serotonin release! Call 01786 812852 to find out more or book online at www.precisemedical.co.uk/appointmentsDid you know? Around 1 in 10 people in the UK are thought to develop Rosacea? Dermalux supports Rosacea Awareness Month. Why do our patients feel special? We make Time For You and treatment is never hurried or rushed. We really get to know our patients and invite them to join our VIP group called Club Precise. In the club we give additional support, advice and offers as well as preferential booking for events. Our patients also receive a loyalty card so that everything spent is returned with goodies or treatments.